This Is The Next PixelJunk. It's a PC Game. Kyoto based Q-Games is working on its new title. The game, currently codenamed PixelJunk 1-6, is being made with the PC specifically in mind. Above is a first look. The 1-6 codename references the game's place in the PixelJunk series: it will be the sixth PixelJunk game. While developing the game, Q Games is also running a developer blog, which should be of interest to PixelJunk fans or those simply wanting to know more about how games are made. "We've decided to reveal all in our new exciting blog about our next PixelJunk title," said Dylan Cuthbert, Q-Games honcho, in an official statement. "You'll see how feature ideas seemingly materialize out of thin air and which ones make the cut." "People will see what an indie studio looks like completely exposed to the wind," says Rowan Parker, the game's lead designer. "PixelJunk fans are welcome to jump in and comment on what they like most, to help shape the course of PixelJunk 1-6!" 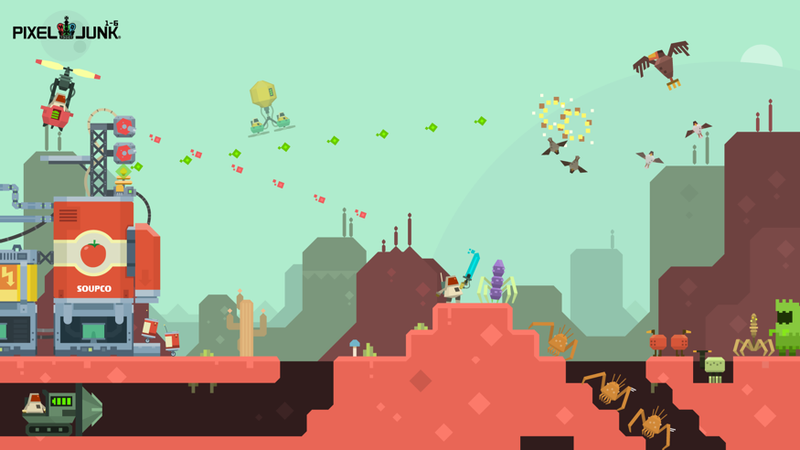 PixelJunk 1-6 is slated for a 2013 release. More info in the game's official blog (link below).